In 1980, Lee Strobel’s award-winning investigative reporting earned him a promotion to legal editor at the Chicago Tribune. Things at home weren’t going nearly as well. His wife Leslie’s newfound faith in Christ compels Lee to utilize his journalistic and legal training to disprove the claims of Christianity—pitting his resolute atheism against her growing faith. Based on Strobel’s bestselling book of the same name, THE CASE FOR CHRIST is a dramatic and heartfelt telling of their compelling journey. Coming to theaters in 2017, this moving story is for everyone who has ever pondered the existence of God… and what role He could play in their lives. 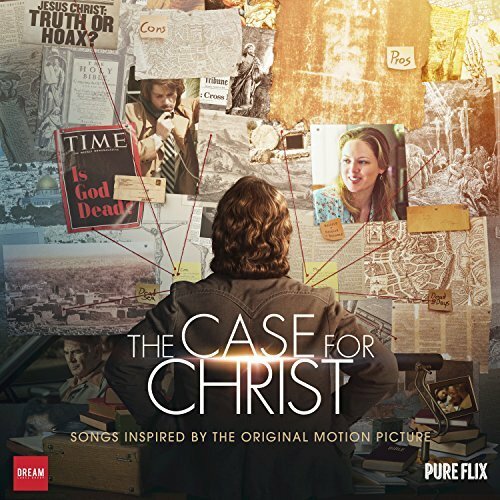 The movie soundtrack of The Case for Christ will be released on April 7, 2017 by Dream Records.